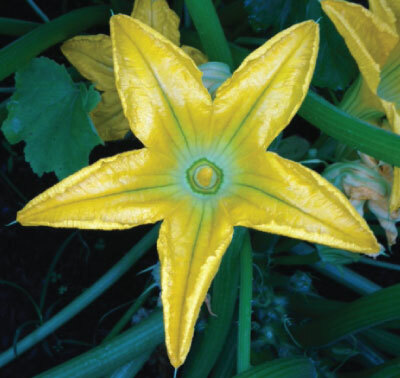 The Italian Cocozelle is a bush type of squash plant that produces high yields of the long, tender, dark green fruits. This Italian zucchini is very flavorful and tender. 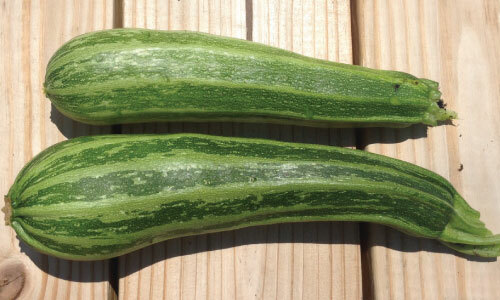 This variety is best when harvested at 12″ long or smaller. 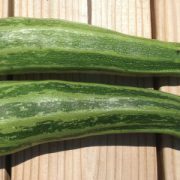 The Cocozelle is excellent for slicing, frying, and steaming and is also a good freezing and canning variety. Pick often when the squash is young to prolong harvest. 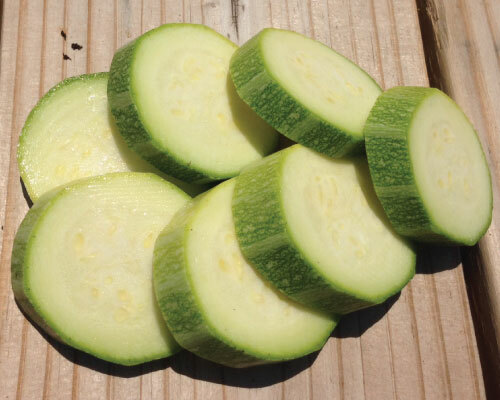 Harvesting zucchini when it is young and tender offers the best flavor and eating quality. 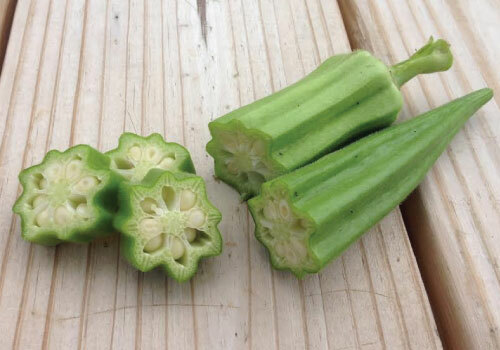 See the second picture for what the inside should look like when harvested. Squash is a very versatile plant to grow, with many different options for the home garden. Squash is an easy plant with high yields and comes in many different varietals. Winter squashes such as acorn, delicata and butternut can be used in dishes or even for decoration as a centerpiece of a table. Before Planting: Squash prefers fertile, well-drained soil with a pH of 6-7.0. Plastic mulch and fabric row covers (AG-19 grade) can aide plant establishment and exclude insect pests during the seedling stage. Planting: Squash grow well in mounds, so hill up some soil and plant three to five seeds per mound. Plant seeds 1 inch deep in mounds set 4 feet apart after all danger of frost has passed. Squash can be started indoors three to four weeks before the last frost date. Squash also grow well in pots or buckets, 5 to 10 gallons is large enough. Row covers should be removed when plants begin to flower. Watering: Water at least 1 inch a week. Mulching can also help retain moisture. season as well. Prior to planting seeds, mix up to 3 inches of compost into the soil where you plan to plant the seeds. Instead of composting, you can use a 5-10-10 fertilizer and spread 1 tablespoon per mound prior to planting. 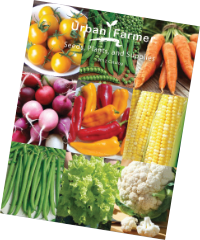 Throughout the squash’s growing season, use the 5-10-10 fertilizer monthly. Days to Maturity: Summer squash varieties like zucchini and yellow squash can be harvested when they are young and tender or you can wait until they reach their full size, which is generally 6 to 8 inches long. sheen to its green skin. Winter squash like acorn, delicata or butternut squashes are ready to harvest when their outer rind resists puncture by a fingernail. Cut or gently twist off fruits when they have reached the desired size. For summer squash, 4-6″. Keep fruit at 40-50°F with 95% relative humidity. 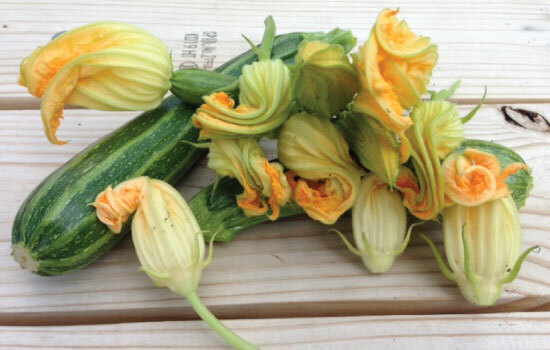 Tips: Squash blossoms are also edible. 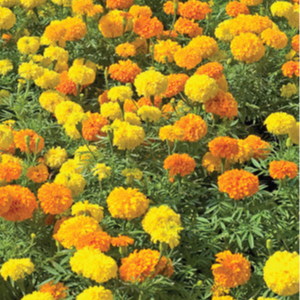 Pick the first blooms that appear, as those are the males and if picked, they will not affect plant yields later in the season. Remove the interior of the blossom and add the petals to salads. AVG. Seeding Rate: 3 seeds/ft., rows 6′ apart, 250 seeds/83′, 500 seeds/166′, 1,000 seeds/333′.